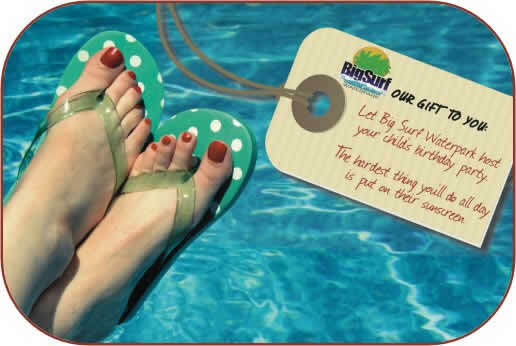 It’s true – when you choose to have your child’s birthday party at Big Surf Waterpark, the hardest thing you’ll have to do all day is put on their sunscreen! Seriously. 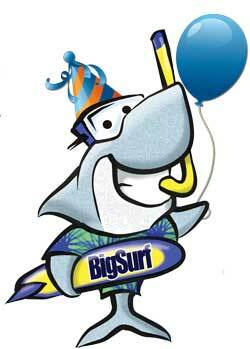 Call us 573-346-6111 or schedule online and let us know that you want to book a Splash Bash Birthday Party. We’ll make sure all the important party necessities are included, and we will work with you to add in any extras to make the day all the more memorable. Or, if you want only the best, go for the Ultimate Splash Bash! When you arrive on the big day, we’ll meet you at the gate and make sure everything’s taken care of and all you’ll have to do is make fantastic memories. Sound easy? All this for just $349 (+tax). The stories, laughs, and lifetime of memories are free. To make sure that everything is in order, we do request three (3) days advance notice to book your party. If you have questions or are ready to get started, contact us at 573-346-6111 or schedule online to reserve your date. If you’re ready to stage the biggest-of-the-big birthday bashes at Big Surf Waterpark, then the Ultimate Splash Bash is for you. It’s a big day. It’s a lot of fun. It’s unforgettable and still a bargain! Paying at retail, this would cost you over $550, but we’ll give you everything for just $449 (+tax). Sound interesting? Have questions? Great! We’re ready at 573-346-6111 or schedule online to reserve your date. To make sure that everything is in order, we do request three (3) days advance notice to book your party. Ready to reserve your fun? NOTE: If you need seating for more than 10 guests, please call 573-346-6111 to reserve additional tables! Make your birthday party reservation! Contact us at 573-346-6111 or via email to make sure your date is available, and to reserve it for a day of unforgettable fun.